Over the last few decades the effects of human-generated noise on marine mammals has become an increasing concern. We know that underwater sound can affect the health and behaviour of marine animals, damaging hearing, and upsetting their ability to use sound for communication, orientation, and foraging (The Journal of the Acoustical Society of America, 2015), and the North Sea is an area of intense activity for the energy industries. With continuing development of oil and gas resources alongside an upsurge in construction of offshore wind farms, installation of tidal energy devices, harbour redevelopments, and a growing oil and gas decommissioning sector, the potential for human-generated underwater sound is greater than ever. Underwater noise can travel long distances, affecting large areas, and imposing a range of negative effects both physical and behavioural. In the UK marine mammals are protected by law under the UK Wildlife & Countryside Act (1981), in addition to other agreements, rules and statutes such as the Agreement on the Conservation of Small Cetaceans in the Baltic & North Seas (ASCOBANS) (1992), European Habitats & Species Directive (1992), Offshore Petroleum Activities (Conservation of Habitats) Amendment Regulations (2007), Conservation of Offshore Marine Habitats and Species Regulations (2017), and Conservation of Habitats & Species Regulations (2017). Geophysical surveys in particular have the potential to result in a deliberate injury or disturbance offence as defined under UK regulations to European Protected Species (EPS). For this reason, operators have be proactive in their attempts to mitigate the effects of sounds being generated during industrial activities, as there is a real potential for harm whether through disruption to the marine environment, or auditory injury to marine animals. Pile-driving, for example, used in offshore windfarm construction is a significant source of underwater noise. 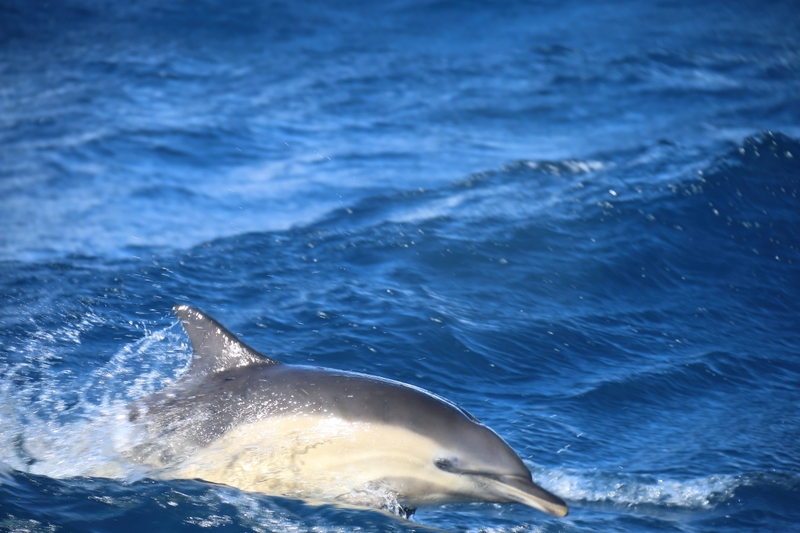 Pile-driving noises during wind turbine installation in deep-water off North East Scotland, at the Moray Firth Special Area of Conservation (SAC), were measured against noise exposure criteria for marine mammals to assess possible effects on a protected population of bottlenose dolphins. Findings showed that potential behavioural disturbance could occur within a 50 km range. (Marine Pollution Bulletin, Volume 60, Issue 6, June 2010). The effects of seismic operations are well recognised for their harmful effect on marine animals and regulations are in place to reduce the risk of deliberate injury. The Joint Nature Conservation Committee (JNCC) has developed mitigation guidelines, written primarily for the oil and gas industry but adopted by other industries using geophysical technology in the marine environment. This forms part of the consent for geophysical activities within the United Kingdom Continental Shelf (UKCS). These guidelines recommend the use of Marine Mammal Observers (MMOs) and Passive Acoustic Monitoring (PAM) operators to detect marine mammals, with a delay in operations should a marine mammal be detected within a specified mitigation zone. MMOs receive formal training via a JNCC approved course, and discussions are currently underway to identify minimum standards for PAM. MMO’s provide advice to ensure that operations comply with relevant guidelines and work to reduce the risk of injury or disturbance to marine mammals during operations. Should marine mammals enter an exclusion zone prior to, or during operations the on-board MMO will advise that operations be shut down until the animals are at a safe distance. MMO’s are commonly employed during seismic surveys, where blasts of compressed air are used to produce acoustic energy to help identify potential oil and gas reserves beneath the seabed, and during offshore construction projects such as wind farms where windfarm piles are driven into the seabed using steam or hydraulic powered hammers. The on-board MMO will visually detect and identify marine mammals, and accurately assess their range and movements. Visual monitoring si conducted using the highest platform with the best all-round visibility. Visual observation is carried out using pair of binoculars, and is done in all marine mammal observation work. Extensive knowledge of the area along with an understanding of oil and gas operational procedures aids the MMO in working offshore with the client team. 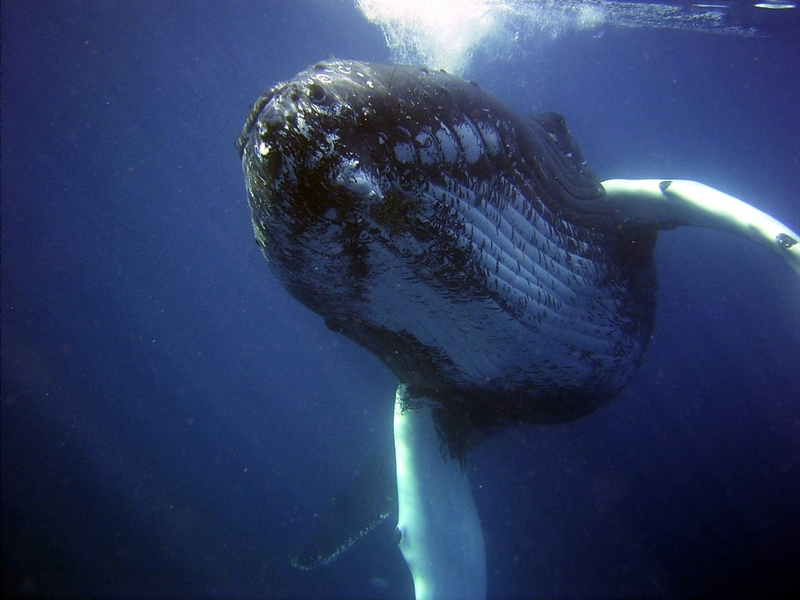 Some species, such as humpback and sperm whales, spend most of their time underwater. Acoustic monitoring in addition to visual monitoring increases the likelihood of detection. Acoustic observation is conducted by PAM operators, deploying hydrophone cables and monitoring in-coming signals on computers with specially designed acoustic software. MMO and PAM techniques are complementary, and often used simultaneously to provide better coverage. MMO and PAM personnel on-board Client vessels can advise vessel crews of the requirements for mitigation, while PAM Operators act as observers in hours of darkness or reduced visibility. At certain times of the year two MMOs are required in sensitive areas to allow maximum coverage of mammal observations in daylight hours. These monitoring and management measures as set out by the JNCC help to ensure industry best practice is followed in the UK during offshore operations that may potentially generate harmful underwater noise. This includes seismic surveys, oil and gas installation operations such as pipeline installation and rock dumping, oil and gas decommissioning operations, and renewable energy installation operations for windfarms and tidal energy devices. MMOs and PAM operators should hold JNCC approved training certificates, and be familiar with the various JNCC reporting forms and required reports. They should also hold valid offshore survival training and offshore medical certification to meet Client requirements. The professional integrity of MMOs depends on accurate recording of data, and consistent application of the correct procedures. The MMO must also have good communication skills and have established a rapport with project operators to ensure that appropriate action is taken. Operators often find that experienced seafarers, such as former fishing vessel skippers make a good choice for MMO and PAM services as their extensive experience and proven depth of knowledge is fully transferable, and can be invaluable during offshore operations. In taking these simple, easy to employ measures to minimise their impact energy industry operators can do much to safeguard marine mammal populations and the marine environment. These measures go a long way towards helping energy companies avoid unnecessary harm in the areas where they operate. Recent sightings of orca’s, the revival of humpback whales in Scottish waters, and the apparent stabilising of dolphin numbers on the east coast give cause to celebrate. Seeing these majestic animals thrive should inspire a shared sense of responsibility for their continued protection and well-being.